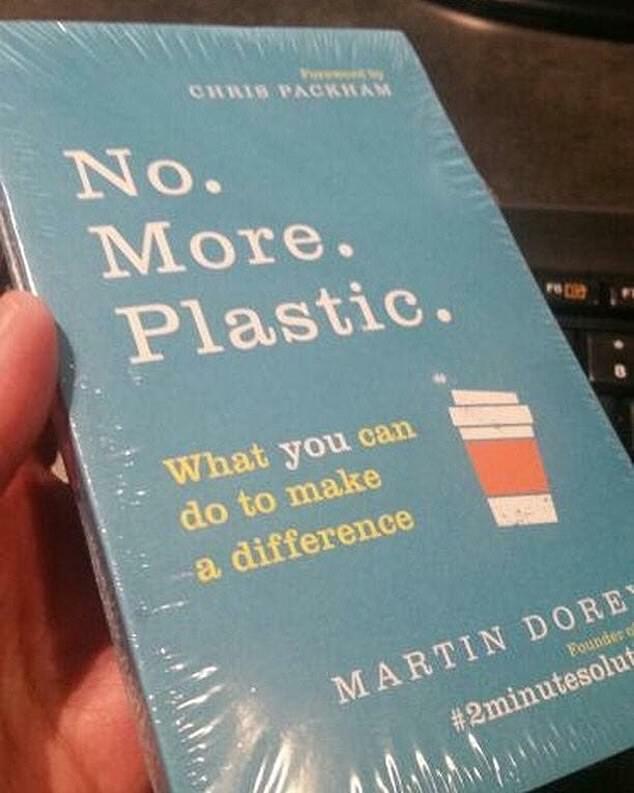 An eco-friendly author has been left raging after copies of his anti-plastic book were dispatched wrapped in plastic. 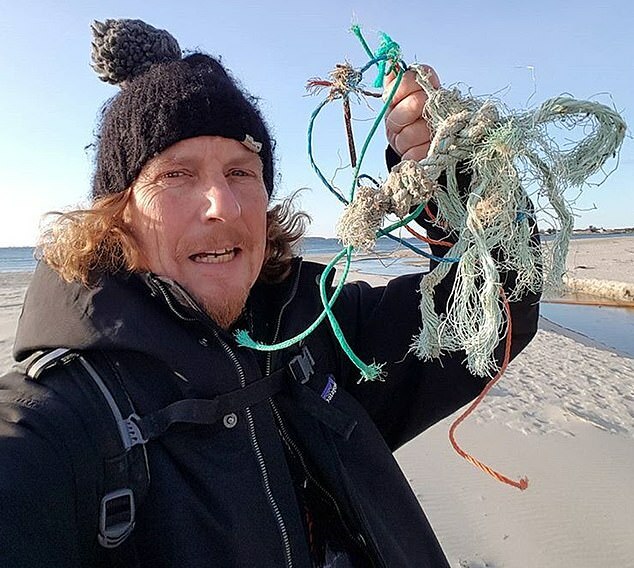 Environmentalist Martin Dorey wrote the book to try and help people reduce the amount of single-use plastic they use in their everyday lives. But he was left stunned when each copy of his book ‘No. More. Plastic’ was sent out by the American distributor coated in cellophane. Mr Dorey, 51, of Bude in Cornwall, called the mix-up by the distributors an ‘absolute shambles’ and said it highlighted how we use plastic ‘with our eyes closed’. Posting a picture of it on Instagram, he said: ‘So here’s my book. We toiled hard on this. We worked with the printer to make it one of the UK’s most environmental books this year. 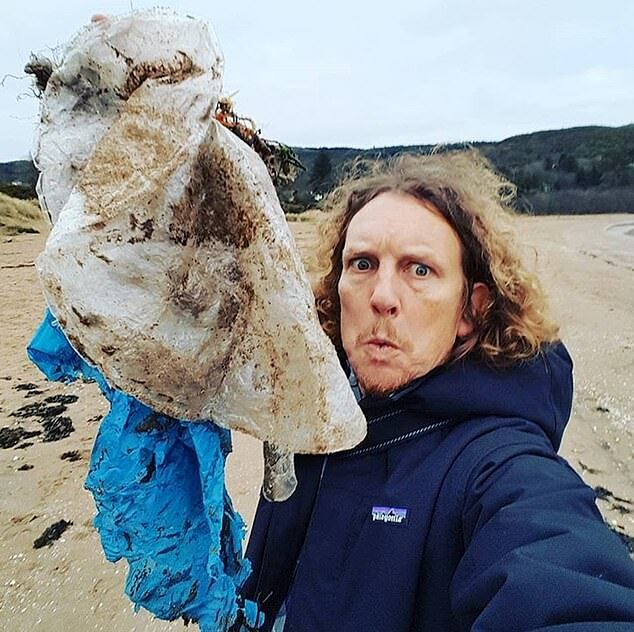 Mr Dorey, who started the 2 Minute Beach Clean campaign in 2009 to encourage people to pick up plastic washed up on our beaches, says major change is needed in the way we use plastic. On his post he added: ‘The thing is that EVERYTHING HAS TO CHANGE if we are to avoid f***ing it up for good. We have to reassess everything. Your reusable mug will not be good enough to save the world. ‘We all have to do everything at every level to stop the stupid senseless use of plastic. I know my publishers are working hard to stop this in future but it still happens further down the line. ‘It makes me very sad indeed that we are so clever, and yet so stupid. He later added: ‘The point is that this book is about no more plastic and some idiot shrink-wrapped it in plastic without thinking. ‘We’re sleep-walking into oblivion with plastic and we need to change everything from the bottom up. The publishers Penguin has reportedly contacted distributors of the book in America to stop the books from being covered in plastic. A Penguin spokesman said: ‘We worked very hard to ensure our book was environmentally friendly at every stage of the book process.